ARTEMIS is located at longitude 22. 41 degrees east, latitude 38.47 north. Observations cover the frequency range from 20 to 650 MHz. The spectrograph has a 7-meter steerable parabolic antenna for 110 to 650 MHz and a fixed antenna for the 20 to 110 MHz. There are two receivers operating in parallel, one sweep frequency for the whole range (10 spectrums/sec, 630 channels/spectrum) and one acousto-optical receiver for the range 270 to 470 MHz (100 spectrums/sec, 128 channels/spectrum). The data acquisition system consists in two PCs (equipped with 12 bit, 225 ksamples/sec DAC, one for every receiver) ,Windows operating system, connected through Ethernet. The daily operation is fully automated: pointing the antenna to the sun, starting and stopping the observations at preset times, data acquisition, and archiving on DVD. The whole system can be remotely controled. C. Caroubalos, D. Maroulis, N. Patavalis, J-L. Bougeret, G. Dumas, C. Perche, C. Alissandrakis, A. Hillaris, X. Moussas, P. Preka-Papadema, A. Kontogeorgos, P. Tsitsipis, G. Kanellakis. 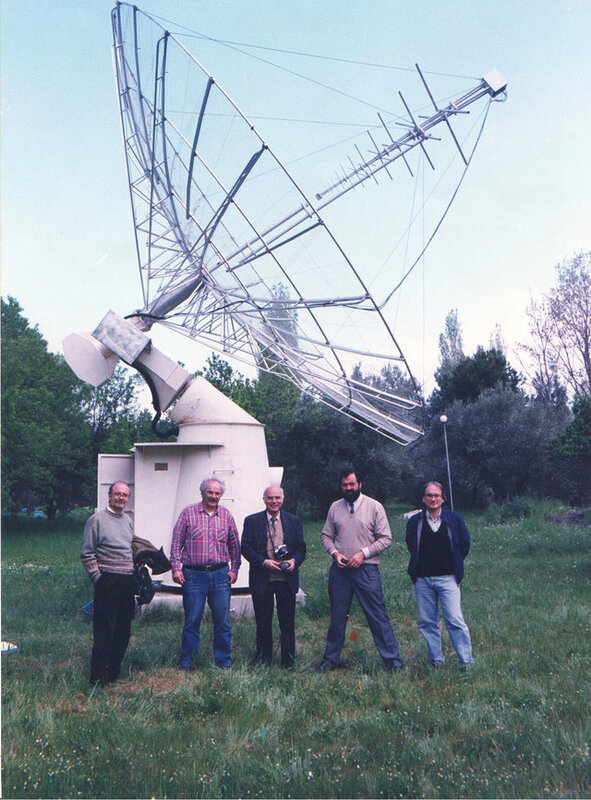 : The New Multichannel Radio spectrograph ARTEMIS-IV/HECATE, of the University of Athens. Experimental Astronomy 11: 23-32, 2001.